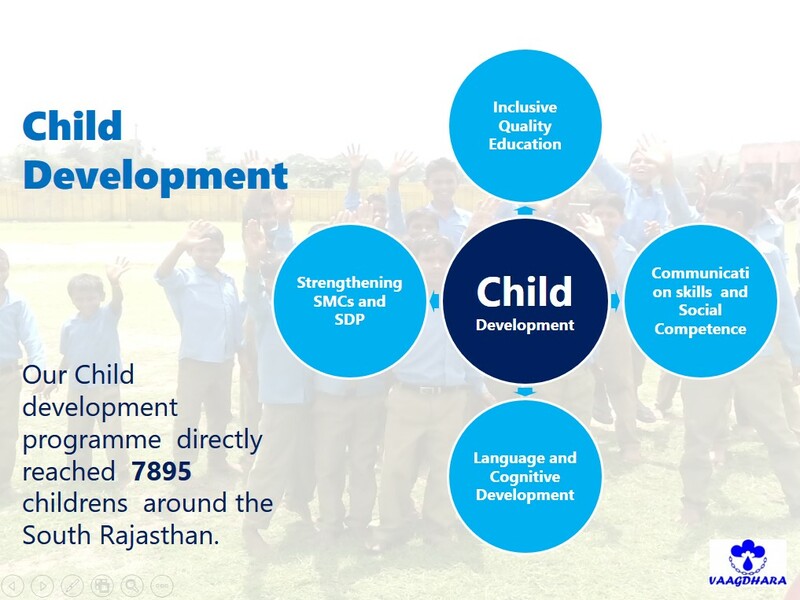 VAAGHDHARA adopts a twin-track approach to enhance child protection and inclusive quality education in the target area. 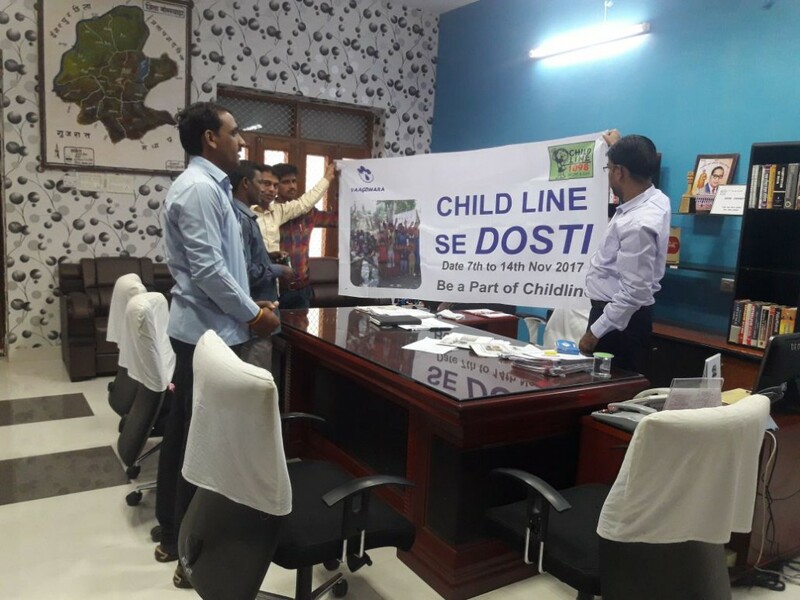 By 2020 the organization has plans to reach about 1 lakh children to ensure their protection against all kinds of abuse, exploitation and violence; prevention of migration for work; ensure improved quality of education with focus on learning at pre-school and primary level and enhance access to social protection schemes for improved income of families. 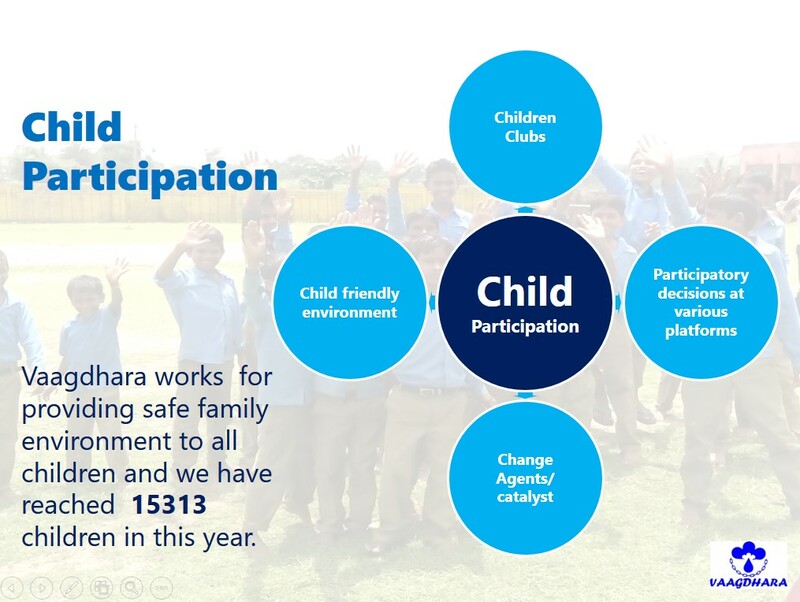 In order to achieve the desired impact VAAGDHARA is undertaking a range of activities and studies to understand the extent of violence and abuse against children. Key interventions include protection of children (from all forms of exploitation) and their healthy development through strengthening of government machinery and ensuring effective implementation of various child related schemes/acts. 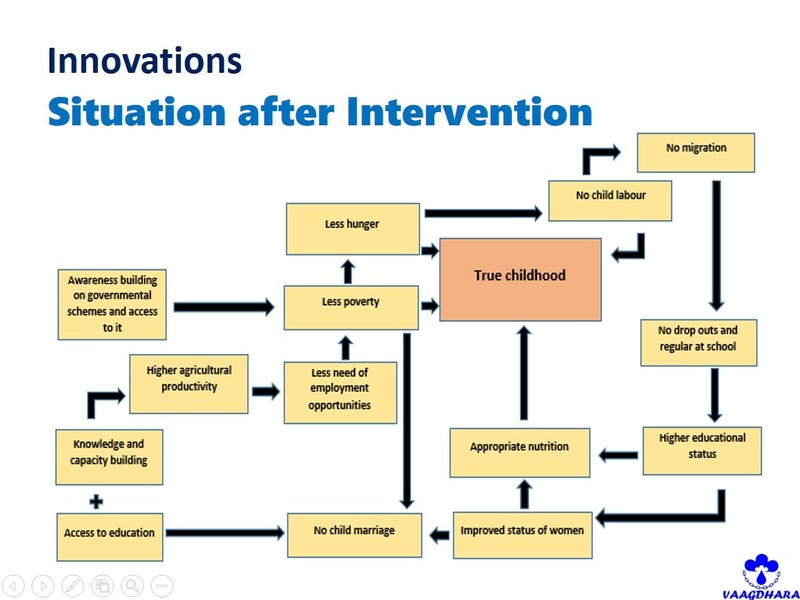 The organization works intensively on issues related to Nutrition, Health, Education and Child Rights. 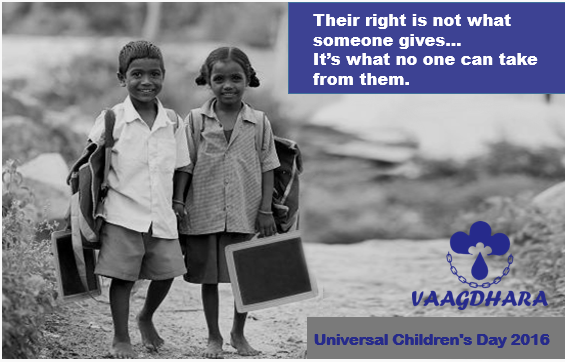 At a wider level, VAAGDHARA also strives for consent building among key stakeholders to influence policy decisions and creating an enabling environment for children’s growth and development. 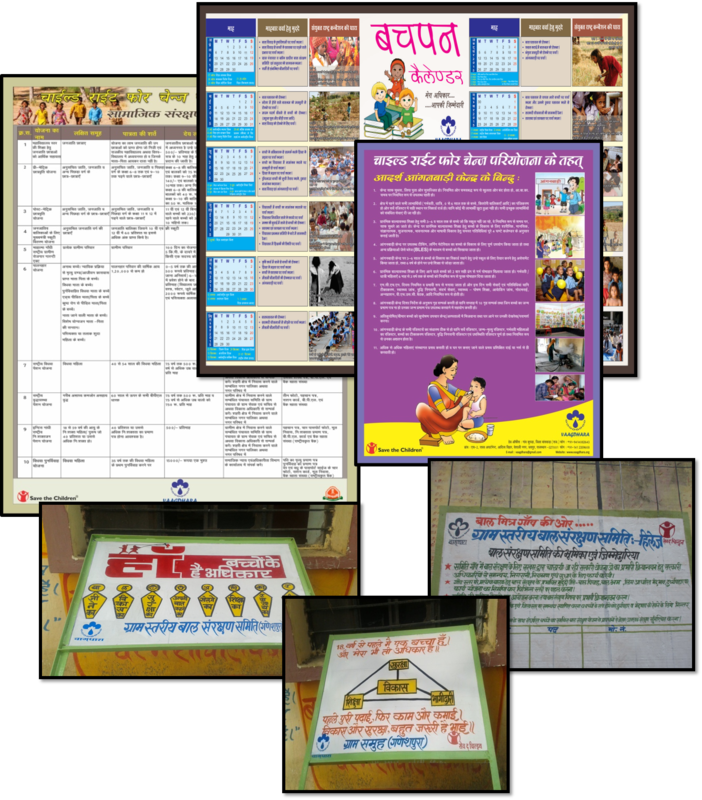 One of such key policy interventions includes Preparation of State Plan of Action for Elimination of Child Labour in Rajasthan. 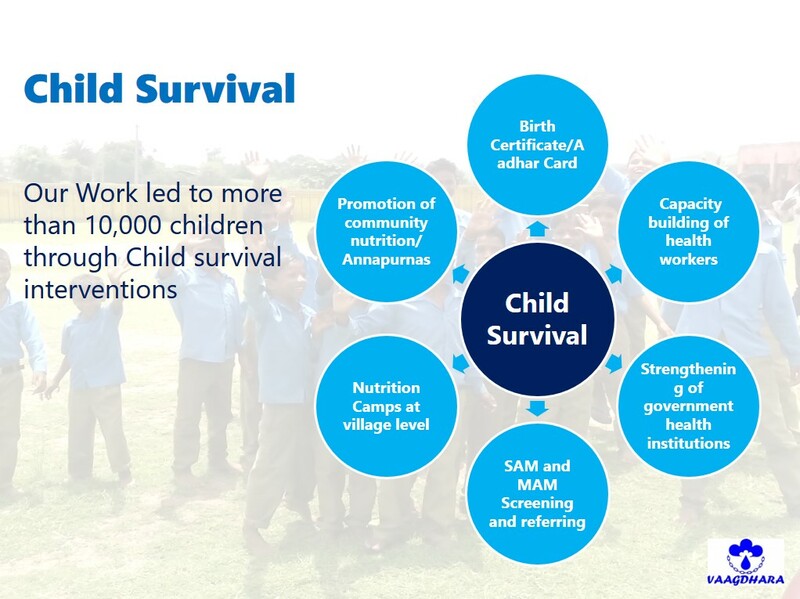 Apart from this, Initiatives intending at decreasing child mortality and child malnutrition, increasing access/availability of quality services, promoting healthy hygiene and sanitation practices, safe drinking water, capacity building of Village Health and Sanitation Committees (VHSC; formed under NRHM), Capacity Building of Panchayat Level Child Protection Committee and ensuring participation of children through Formation and strengthening of Children’s Groups. 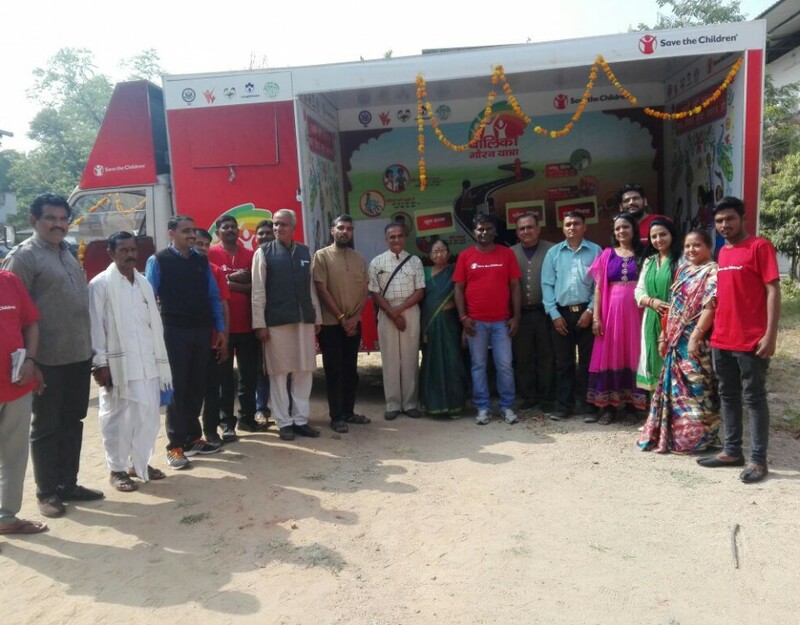 Developing Model villages where we are linking sustainable livelihood Models and child friendly villages. 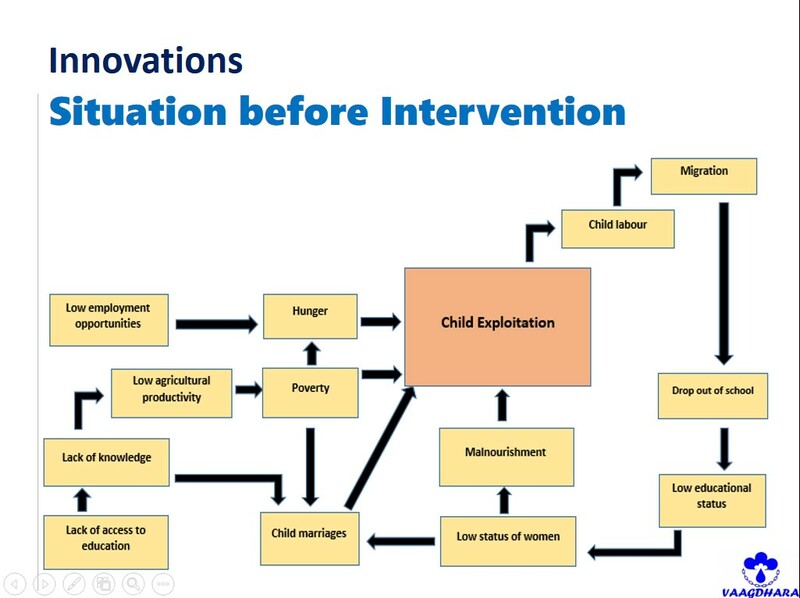 Developing networking and different platforms on Child Protection and development become concern issue. 17 CPC gave Memo at block and district level for opening of AWCs as well as low number of teachers in schools. 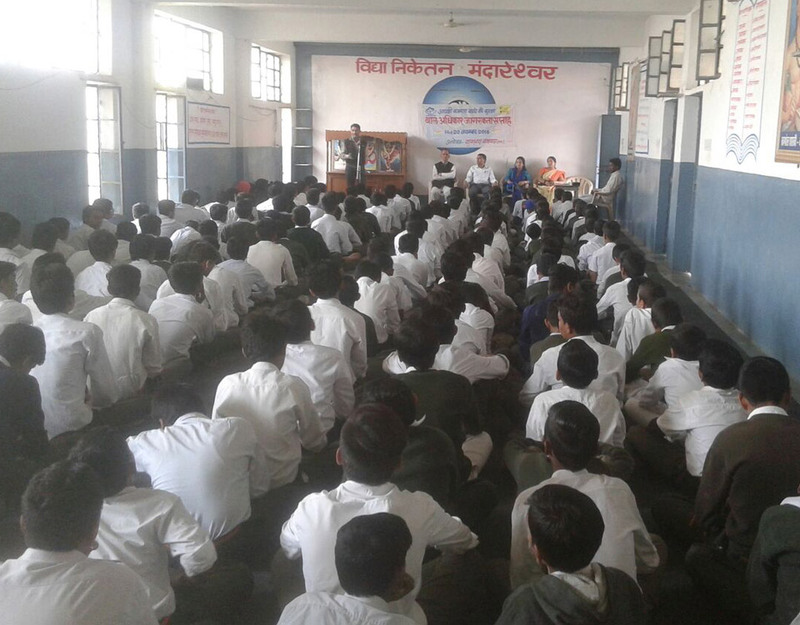 7250 Adolescents are provided with life skill training which increase self confidence as well as develop understanding on child sensitive issues. CPC stopped 17 child marriage with the joint efforts of child line. 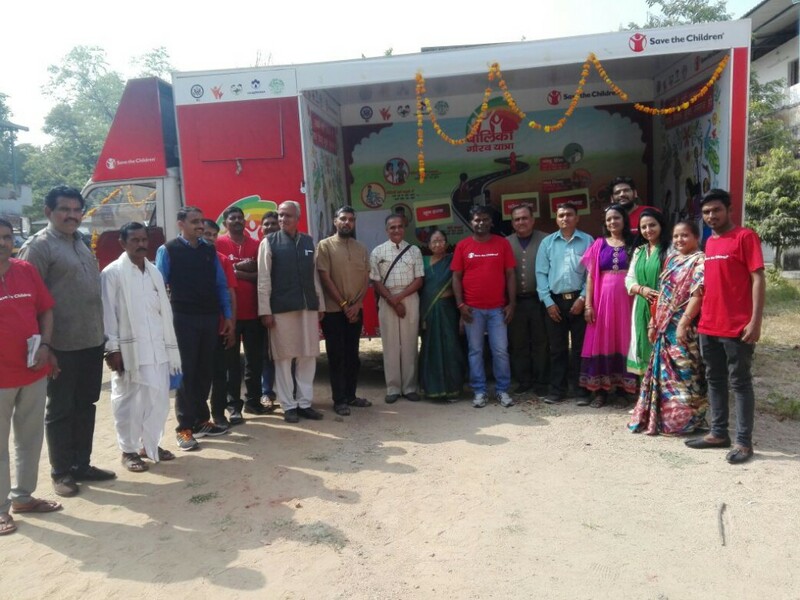 Government linkages and providing green gram to 1000 BPL families of children in project area. 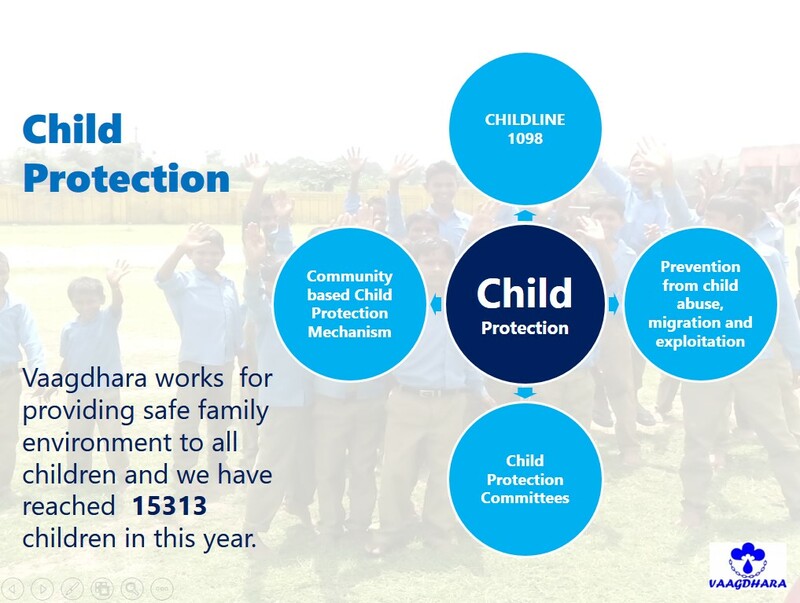 10608 linked with Social Protection Schemes. 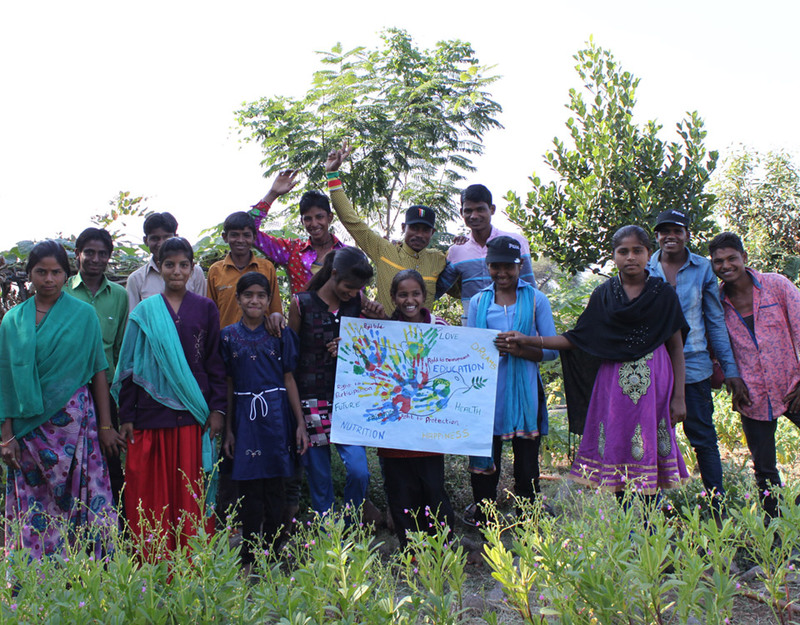 Child Rights realization – Still a faraway dream?